Over 100 competitions, publication opportunities, fellowships and more. November is National Novel Writing Month, or NaNoWriMo, described as ‘the world’s largest writing event and nonprofit literary crusade’. Participants pledge to write 50,000 words in a month, starting from scratch and reaching ‘The End’ by November 30. The NaNoWriMo website offers lots of tips and support, as well as links to local events around the globe. is one of three prizes offered by Reed Magazine. This award is for a work of fiction up to 5000 words and requires a reading fee of $15. The winner of the John Steinbeck Award receives a cash prize of US$1000. Entries close 1 November. also offered by Reed Magazine, is for a work of nonfiction up to 5000 words. The winner receives a cash prize of US$1333. Entries close 1 November. is the third prize from Reed Magazine. It is for is for works of poetry and is awarded for up to five poems. The winner receives US$1000. Entries close 1 November. is a competition that recognises the outstanding achievement of a first-time Canadian novelist.The Award is for books published in English in between 1 January 2014 and 31 March 2015. Finalists receive $1000 each and the winner receives $7500. Entries for books published in 2014 close on 1 November. are open to short fiction up to 2500 words, as well as to poetry and creative non-fiction. The winning entries receive CA$1000 and will be published in The Malahat Review’s Spring 2015 issue. Entries close 1 November. is an annual literary magazine run by graduate students from the University of Texas at Austin. It interested in poetry, fiction, and creative non-fiction (personal essays, memoir, commentary) that experiments with language, form, and unconventional subject matter, as well as more traditional work. Submissions close 1 November. is a competition for book-length unpublished manuscripts by new or emerging writers.There is also a poetry prize and both this and the prose prize are open to anyone writing in English. The two winning titles will be published in the following October by New Rivers Press and distributed across the United States through Consortium Book Sales and Distribution. Each winning author will receive US$1000, ten complimentary copies of their published work, and a standard book contract. Entries close 1 November. is an anthology of writing about the idea and experience of death in extreme latitudes. The editors are asking approximately thirty writers from Canada, the U.S. and Iceland to deliver an account of death in its many varied forms. Submissions close 1 November. is run by Mid-American Review and is open to stories up to 6000 words in length. The winner receives US$1000 and publication. Entries close 1 November. is also run by Mid-American Review. Like the Sherwood Anderson Award, this prize offers US$1000 and publication to the winner. Entries close 1 November. is an international journal dedicated to literary translation. Submissions are currently open for translated fiction for its Danish Fiction Feature to be published in January 2015 – closes 1 November. Submissions are also welcomed on a rolling basis for essays about relatively unknown authors writing in a language other than English who deserves more attention from the English-speaking world. is a literary and arts quarterly dedicated to publishing fiction, poetry, creative nonfiction, drama, or any hybrid thereof. Submissions are now open for issue 4.1 – the deadline is 1 November. Each issue also features a chapbook, alternating each issue between fiction and poetry chapbooks. An entry fee does apply for the chapbook competition and the successful writer receives a US$250 prize. is a brand new prize for previously unpublished non-fiction writing of between 8000 and 30,000 words. It is open to UK and Ireland residents, plus individuals living worldwide who have been educated in Wales. Work should take the subject or setting of nature, the outdoors, landscape or the environment. First prize is £1000 cash; e-publication of the work; a weekend stay at Gladstone’s Library, Flintshire, and a positive critique of the work by leading literary agent at WME, Cathryn Summerhayes, as well as lunch with her in London. Entries close 1 November. aims to be an outlet for and by everyone: every age, race, gender, sexual orientation and religious background. Submissions for the Winter issue close on 1 November. is a print publication designed to spotlight writers, musicians, poets, painters, illustrators, and creative types of all stripes, with an emphasis on the up and coming and the unsung. It is currently accepting fiction, poetry, and visual arts submissions for issue 3. There are no style, length, or genre restrictions, and you may submit more than one piece for consideration. The deadline is 1 November. is an annual anthology of approximately 200 pages to be published by Wesleyan University Press in fall 2015. Submissions close 1 November. is a quarterly literary zine of short fiction, creative non-fiction, poetry and art. The zine is based in Melbourne, Australia but interested in publishing the work of writers from all over world. Submissions for issue 5 close on 2 November. is a new international competition for unpublished writers. Entries should include the first 20 pages plus a 200 word synopsis. First prize is £1000 and the Award will be judged by Hellie Ogden, a literary agent at Janklow & Nesbit. Entries close 2 November. is being offered for the second time in 2014. One unrepresented writer with a screenplay of independent sensibility and lifetime writing earnings not exceeding US$5000 will receive an all-expense paid trip to the 2015 Sundance Film Festival and mentorship from Elwes himself. Screenwriters must opt-in for this fellowship on The Black List site; the shortlist will be selected on 7 November. has the main aim of promoting and showcasing new writing talent. Submissions up to 2000 words are currently being sought for the third issue with the theme ‘Transformation’. Closes 7 November. aims to assist professional artists, including writers, to develop new artistic work creatively using or inspired by the Library’s collections. The Fellowship offers a grant of AUD$10,000 to undertake a minimum one-month residency at the Library to work towards a new piece of work or to develop an artistic concept for future elaboration. Applications close 9 November. is a non-fiction contest celebrating writing about experience. It is run by Flyway Journal of Writing and Environment. Essays can be up to 5000 words and the winner receives US$500 and publication. Entries close 10 November. awards a grant of up to $10,000 to a previously published Arkansas author. Applicants must be a current must be a current Arkansas resident. Applications close 14 November. is an annual award for unpublished short fiction open to citizens of Commonwealth countries. The prize covers the five regions: Africa, Asia, Canada and Europe, Caribbean and Pacific. The overall winner of the Commonwealth Short Story Prize will receive £5000 and the remaining four regional winners will receive £2500. Entries must be 2000 words minimum, 5000 words maximum. Entries close 15 November. offers professional writers, as well as composers, and visual and performing artists, the opportunity to ‘pursue their artistic discipline while being surrounded by the park’s inspiring landscape’. Selected artists stay in a historic cabin for two-week periods from June through September. Applications for 2015 close on 15 November. is accepting submissions for its non-themed Summer 2015 issue. It is looking for fiction, poetry, non-fiction and interviews. Submissions close 15 November. in New York is seeking to hire an Assistant Professor Fiction to start in Fall 2015. Applicants should have a significant publication record including at least one book of fiction in print. Applications close 15 November. accepts submissions of fiction, poetry and non-fiction. VQR generally pays US$200 per poem and 25 cents per word for prose. Submissions close 15 November. is accepting submissions for its fifth issue. Submissions of fiction, non-fiction, poetry and visual art are welcomed and simultaneous submissions are accepted. Closes 15 November. is the new online literary journal of the BFA in Writing program at Goddard College. It is currently accepting submissions of prose, poetry, translations, visual art, and hybrid work for its second issue until 15 November. was established in 2007 to foster poetry by writers who have not yet published a book of poems under their own name. The 2014 major prize is AUD$6000, with a second prize of $2000 and a third prize of $1000. All three winning poems will also be published in Overland. Entries close 15 November. is for writers who have not yet published a book of fiction. It is open to writers based anywhere in the world, though submissions must be in English and less than 7000 words. First prize is US$1500, a domestic airfare and accommodation to attend the next Festival in New Orleans, a VIP All-Access Festival pass for the next Festival ($500 value), a public reading at a literary panel at the next Festival and publication in Louisiana Literature. Entries close 16 November. is open to Australian writers of biography; however, the selection criteria extends to include a writer who is working on an aspect of cultural or social history that is compatible with Hazel’s interest areas. It awards AUD$10,000 to a writer to support the writing and research of a new work. Applications close 16 November. Now in its 15th year, the Writer’s Digest Short Short Story Competition is for works up to 1500 words. The winner receives US$3000, publication in Writer’s Digest magazine, and a paid trip to the Writer’s Digest Conference in New York City. There are also many runners-up prizes. The early bird submission date is 17 November. is open to UK residents aged 18 and over. To enter the competition you must submit an original work of fiction containing at least 40,000 words, as well as a synopsis of the work. Your work must have been self-published after 31 December 2011 and cannot have been published (or agreed to be published) by a third-party traditional publisher. Submissions will be accepted between 1 and 18 November. will award US$20,000 for one story of 100 words. This contest is open to writers from all countries and entries are accepted in four languages: English, Spanish, Arabic and Hebrew. Entries close 23 November. is an online magazine produced by the MA students at the University of Westminster, with a view to helping emerging writers establish their voice in the world. Submissions for its third issue are open until 24 November. is looking for looking for an article about a place makes you ‘feel strong and hopeful.’ First prize is US$500 and there is no entry fee. Stories should be between 500 and 800 words in length and entries close 27 November. is open to short stories, poems and creative non-fiction. The theme for the contest is Work. Prizes are US$500, $200, and $100 and there is an entry fee is $10. All entries considered for publication. Close 30 November. is an annual award with a prize of US$1000 and publication in Tampa Review. Judging is by the editors of Tampa Review, and all entries will be considered for publication. They generally prefer manuscripts between 500 and 5000 words but stories falling slightly outside this range will also be considered. Entries close 30 November. is for short stories and poetry from writers worldwide with a first prize of £1000. A £5 fee per entry is payable and the contest organisers will be planting a tree in Kenya for each entry (when the contest closes they will email the GPS co-ordinates of your tree to you). Entries close 30 November. recognises outstanding young poets and is open to high school sophomores and juniors throughout the world. The contest winner receives a full scholarship to the Kenyon Review Young Writers workshop. In addition, the winning poem and the poems of the two runners-up will be published in The Kenyon Review, one of the USA’s most widely read literary magazines. Entries close 30 November. is for short stories in any speculative fiction genre including fantasy, science fiction and horror. The contest has been running since 2004 and has a Grand Prize of €1000 (US$1300). Entries must be less than 10,000 words and must not have been previously published. The contest opens on 1 January each year, and runs for four rounds throughout the year. The submission deadline for the final round is 30 November. is for stories up to 5000 words. First prize is €3000 (€1000 of which is for travel expenses to the launch of the Anthology). Second prize is a week at the Anam Cara Writers’ & Artists’ Retreat and €300 travel expenses. Ten short stories will be published in the 2015 Fish Anthology. Entries close 30 November. is for stories up to 5000 words in length. There are national prizes, as well as state prizes for writers from Alabama. A prize for unpublished poetry will also awarded. Entries close 30 November. is open to writers worldwide. Stories can be up to 2500 words in length and there are no genre restrictions. This contest is only open to writers who have not earned more than $5000 through their literary work(s). Entries close 30 November. will be awarded to a single poem of up to 30 lines, and is open to anyone over the age of 18 years, regardless of citizenship. First prize is AUD$5000. Entries close 30 November. is the United States’ only hardback literary journal. It features art, poems, stories and essays. Submissions are open until 30 November for publication in 2015.
is an independent, non-commercial literary magazine. Excellence is its sole criteria for selection, although it is especially interested in fiction and poetry that takes on big issues. Submissions will are open until 30 November. has been designed for professional, published writers of literary merit with at least two books already published or mainstream theatre works performed or scripts broadcast. Applicants must be a native English-speaker and a citizen of the UK, the European Union or a Commonwealth country. Citizens of other countries may apply if, at the time of application, they have been living in the UK for at least three years. Register via email to receive an application pack in late November. is aimed at poets, essayists, and fiction writers who want to produce a body of work by introducing structure to their writing life. Throughout December participants receive daily writing prompts, a daily reading-writing exercise, prompts, podcasts, quotes and more. The program costs US$15. will award CA$5000 in prizes with categories for best poem and best story. Entries must be original and unpublished. Entries must be postmarked 1 December. welcomes fiction, non-fiction, and poetry submissions, as well as proposals for Points South and feature articles. Submissions for the Spring 2015 issue close on 1 December. offers a unique residency for writers in the crucial early stages of their careers. Located in Provincetown, Massachusetts, the Work Center provides seven-month fellowships to twenty fellows each year in the form of living/work space and a modest monthly stipend. Residencies run from 1 October 30 April. Applications for 2015 close on 1 December. will be judged by Coffee House Press editor-at-large Anitra Budd. Writers are asked to submit a story (800 words or less) or poem (up to 45 lines) that includes a found phrase or piece of dialogue (wording that is overheard, found on a sign, read in a book, seen in graffiti, etc.). Entries close 1 December. is a national literary journal published by Clockhouse Writers’ Conference in partnership with Goddard College. Submissions from both established and emerging writers are being sought for its 2015 issue. Clockhouse accepts fiction, poetry, memoir, creative nonfiction, and dramatic work for stage or screen. Submissions close 1 December. is for “first book” submissions from African writers who have not published a book-length poetry collection. Manuscripts must be at least 50 pages. Entries close 1 December. is dedicated to “discovering new voices and visions while savoring long-standing favorites”. Some of the established writers it has published include Billy Collins, Meg Wolitzer, Frank McCourt and David Rakoff. The current reading period closes on 1 December. is a quarterly magazine founded in 1965 and published since 1969 at Skidmore College. The magazine publishes essays, reviews, interviews, fiction, poetry, regular columns, polemics, debates and symposia. Submissions close 1 December. publishes poetry, fiction, nonfiction, and art by Pulitzer Prize and National Book Award winners alongside up-and-coming writers. Stories and poems appearing in Black Warrior Review have been reprinted in the Pushcart Prize series, Best American Short Stories, Best American Poetry, New Stories from the South, and other anthologies. Submissions re-open on 1 December. is a for a writer with significant publications (a book of fiction published by a well-regarded press) and teaching experience, though not necessarily in a conventional academic setting. The successful candidate will teach two classes (one per semester) at George Washington University and a small fiction workshop to members of the general Washington community. The salary is $60,000. Applications close 2 December. will take place between 1 and 3 May in Minnesota. Proposals are currently being sought for sessions at the conference. The deadline is 4 December. is an annual writer-in-residence program at Gilman, an independent boys school in Baltimore. Open to an emerging writer of fiction or creative non-fiction or playwright, responsibilities include teaching one senior elective in creative writing each semester, organizing a series of readings, advising the literary magazine, and working one-to-one with students in the Tickner Writing Center. Applications close 9 December. is being run for the second time. Open to UK residents only, entrants must submit via email an original, unpublished short story on the subject of ‘May’. The winner will have their story published and enjoy a week’s holiday at the Duchy of Cornwall’s Manor House, Restormel Manor. Entries close 12 December. is based at Northern Arizona University and published in print once a year and on the web on an ongoing basis. Submissions for the Spring 2015 issue close on 15 December. welcomes entries in the eleventh Peter Porter Poetry Prize, which is now worth a total of AUD$7500. All poets writing in English are eligible, regardless of where they live. Poems must not exceed 75 lines. Entries close 15 December. publishes fiction, literary non-fiction, poetry, graphic narrative, interviews, and book reviews. There is no word or page limit, though they prefer prose that is between 3 and 25 manuscript pages. They are also currently running a chapbook competition. First prize is US$1000 and publication. Entries close 30 December. is an international, refereed, literary journal with a Caribbean focus, founded in 1986 and published annually by the University of the Virgin Islands. Submissions for volume 29, Ambiguities and Contradictions in the Caribbean Space, close on 30 December. is open to writers who have not published a book commercially. The winner receives US$1500 and will have their story published in the magazine. is one of the world’s richest poetry prizes for single, unpublished poem. The winner of the 2014 prize will receive €10,000. Entries close 31 December. welcome unsolicited submissions of poetry (open to traditional or experimental forms of any length) and flash fiction (open to works of prose – up to 1,000 words – emphasising varying degrees of narrative, form, language, voice, and pacing). The reading period closes on 31 December. is awarded annually to an outstanding, unpublished collection of short stories. The contest is open to any writer, regardless of his or her publication history, provided the manuscript is written in English and the author lives in the United States. The winner of this contest will receive publication, a $1000 cash advance, travel expenses and lodging for a special reading and book signing party at Press 53 headquarters in Winston-Salem, North Carolina, attendance to the 2015 Press 53/Prime Number Magazine Gathering of Writers, and ten copies of the book. Entries close 31 December. is open to stories up to 10,000 words in all genres and styles. The winner will receive US$1000 and the winner and all finalists will be published in The Lascaux Review. All genres and styles are welcome. Entries close 31 December. aims to provide recognition and financial assistance to an unpublished middle grade fiction writer whose work-in-progress reveals potential for a successful writing career. The successful writer will receive US$1000 and a trophy, and writers from all countries are welcome to apply. is accepting submissions of work produced or published in 2014 by writers living west of the Mississippi River. Entries in the eleven categories are reviewed and judged by panels of distinguished writers, critics, and editors. Each winner receives a $1000 cash prize, a one-year PEN Center USA membership, and will be PEN Center USA’s guest at the Annual Literary Awards Festival in Los Angeles. Book submissions close on 31 December. awards US$1000 for fiction and poetry. Winners and finalists will make up next winter’s print issue of the magazine. This contest is open to all writers in English except current or former students or employees of The University of Southern Mississippi. Entries close 1 January. offer writers and researchers an opportunity to pursue a creative project in Paris for a month or longer while participating actively in the life of the American Library. The fellowship includes a stipend of US$5000, intended to cover travel and housing costs for the visiting fellow. Applications close 1 January. seeks to highlight work that “showcases an authentic voice, a boldness of form, and a rejection of functional fixedness”. The winners CutBank 83 and receive US$500. All submissions will be considered for print publication. Entries close 15 January. support residences of up to eight weeks for writers and other artists. Located in New Hampshire, studios, room and board are provided. Applications for Summer 2015 residences (1 June to 30 September) close on 15 January. located in Stonington, Connecticut offers one 4-1/2 month residency between mid-January and the end of May, and three or four shorter residencies of 2 to 6 weeks during the months between Labor Day and mid-January. 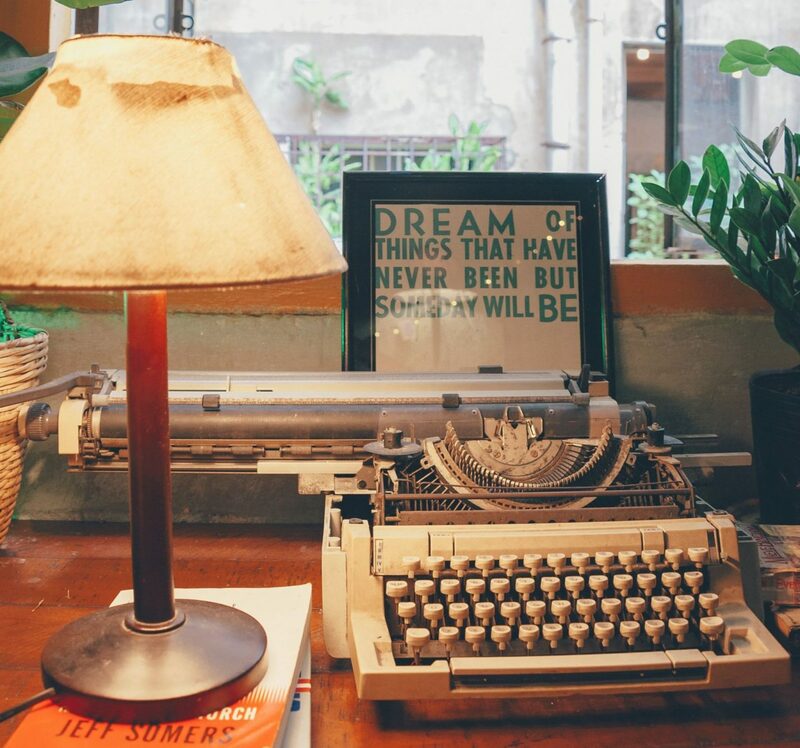 The fellowship provides living and working space to a writer in search of a quiet setting to complete a project of literary or academic merit. The Writer-in-Residence program includes a $5000 stipend for the extended term with smaller stipends offered for the brief residencies. is seeking submissions for its December/January issue on Asylum Seekers. The magazine incorporates a variety of forms including interviews, opinion pieces, creative writing, reviews and multimedia. is an online literary project that invites readers of all kinds to participate in our editorial process. Each quarter, five new guest editors of varying backgrounds ultimately select five poems and five fiction pieces for online publication. If you are interested in guest editing a future issue, visit the Five Quarterly website for application information. is aimed at middle and senior level professionals and features leading publishing executives and industry experts as well as distinguished faculty from the Yale School of Management. Applications for 2015 are now open. is looking for new, unpublished work from writers and artists who self-define as Mennonites, whether practicing, declined, lapsed or resistant; it also accepts writing and visual art by non-Mennonites about Mennonites. Poetry may be up to 30 lines, and fiction and non-fiction should be under 2500 words. is seeking fiction, creative non-fiction and scripts for its ninth issue, to be published in March 2015. Submissions can be anywhere between 100 and 20,000 words, but 2000 to 5000 words tends to work best. is open to queries. This new agency is based in London and represents fiction, non-fiction and children’s authors. Writers should send three chapters of their work together with a synopsis and cover letter. of P.S. Literary Agency is open to queries. She will consider literary fiction, young adult fiction, middle grade & chapter books, picture books and non-fiction (pop culture, geek culture, pop psychology, design, and lifestyle). is an online science fiction and fantasy magazine featuring fiction, poetry and nonfiction. Writers are paid eight cents per word including audio rights. is a quarterly magazine of literature, the arts and public affairs. It is currently accepting submission for 2015. Massachusetts Review publishes ‘articles and essays of breadth and depth . . . as well as discussions of leading writers; of art, music, and drama; analyses of trends in literature, science, philosophy, and public affairs. is a new digital imprint from Bloomsbury Publishing dedicated to publishing fiction eBooks for teen, YA, and new adult readers. It is interested in many genres including romance, contemporary, dystopian, paranormal, sci-fi, mystery and thriller. They are currently accepting manuscripts between 25,000 and 60,000 words. was founded in 2012 with the aim of publishing riveting and relevant real-world novels for young adults. The imprint is headed by New York Times bestselling author Jacquelyn Mitchard. Merit Press accepts submissions directly from authors (including first time authors) as well as from literary agents. For full details read the submissions guidelines (PDF). issue seeks to identify the region’s new generation of writers who will be the agenda setters and style leaders of the future, introducing them to readers beyond their national borders. Submissions are invited from writers from the Asia-Pacific region born in or after 1975.
publishes short fiction, poetry, essays, drama, and book reviews. Writers at all stages of their careers are invited to submit their work; however, the editors warn they can only publish a very small fraction of the material the receive. is accepting submissions for its inaugural issue to be published in January 2015. Pieces may be up to 5000 words and submissions in a range of genres will be considered. is seeking five new regular contributors to write monthly columns for the site. The posts must be somehow related to queer characters in young adult literature. is an online poetry magazine seeking original work from both emerging and established poets. Up to five poems may be submitted at one time and submissions are read year round. seeks to explore the ways in which the program influenced and inspired a generation of writers. Contributions from writers around the world are now invited. is accepting expressions of interests from travel writers. Send your résumé and writing clips, together with a cover letter explaining your qualifications and areas of expertise, to editors[at] fodors dot com. is a literary journal released quarterly on the 15th of March, June, September, and December on the Internet, and periodically in print form. Prose writers are invited to submit literary fiction and nonfiction of up to 8000 words, and poets may submit up to five poems. is looking for previously unpublished flash-fiction of up to 1000 words in length. The stories may be in any genre, but must have been written in response to one of the images from its Pinterest Boards. It does not accept poetry. was founded by poets Sydney Lea and Jay Parini in New Hampshire in 1978. It welcomes submissions of fiction, poetry, nonfiction, drama, translation and creative writing for the NER website. For regular updates on writing competitions and publication opportunities follow Aerogramme Writers’ Studio on Facebook and Twitter. This is a great free service to unknown writers world over. Really great. But could you make it so links open in a new page? Noooooo! Please don’t do that. I hate it went sites are set up that way. That is what right click is for. For an article with as many external links as this, it makes more sense for the links to open in new tabs. I’m curious as to why you hate that so much? thank you for this list, it’s great and much appreciated. The information listed provided me with a volume of ideas for exposure. Thank you! This information is ideal and has further encouraged me to persue an English Literature course. Thank you.